basically a bread stuffing concoction: mushrooms, onion, diced pepper, corn etc. 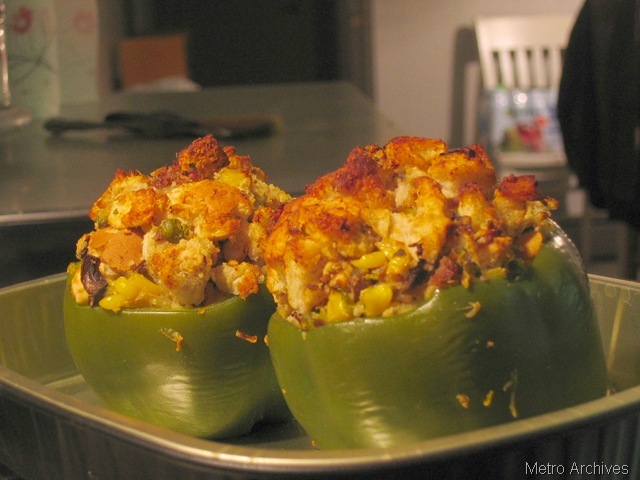 an alternative to a rice based stuffed pepper. parboil or microwave slightly empty peppers, stuff and bake till stuffing is crispy on top.